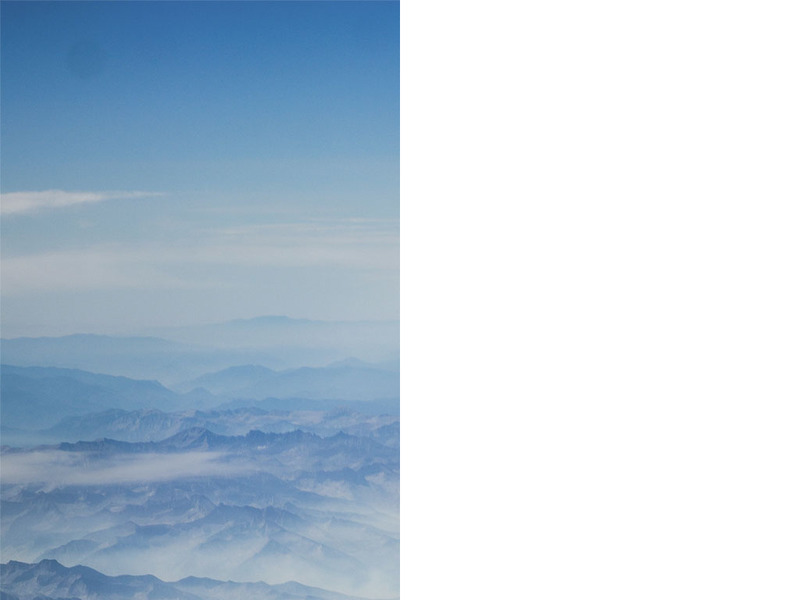 significantly reduces the induced drag and the noise level! 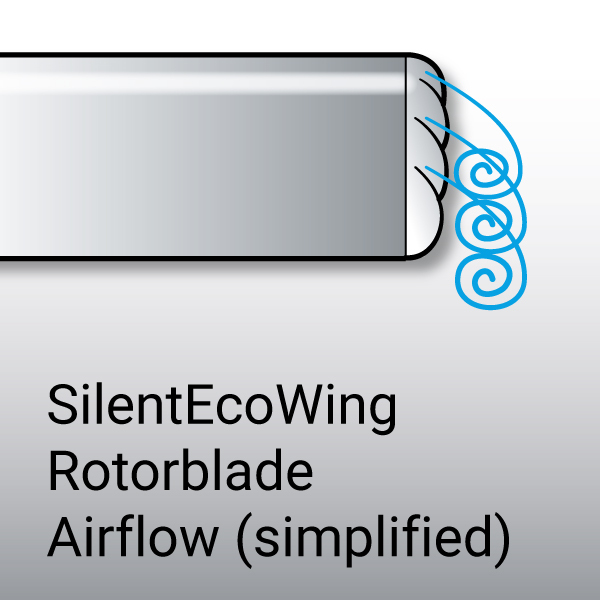 SilentEcoWing optimizes the boundary vortexes simply by changing the wing end or rotor blade tip. 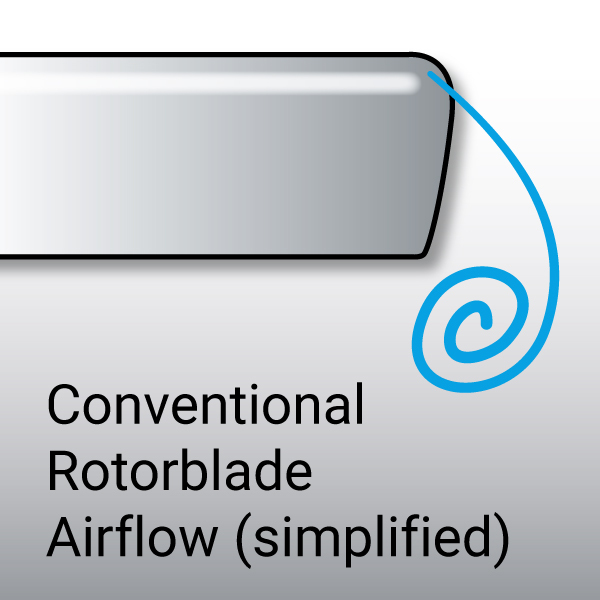 There is a separation into several small vortexes which reduces the induced drag and the noise level. 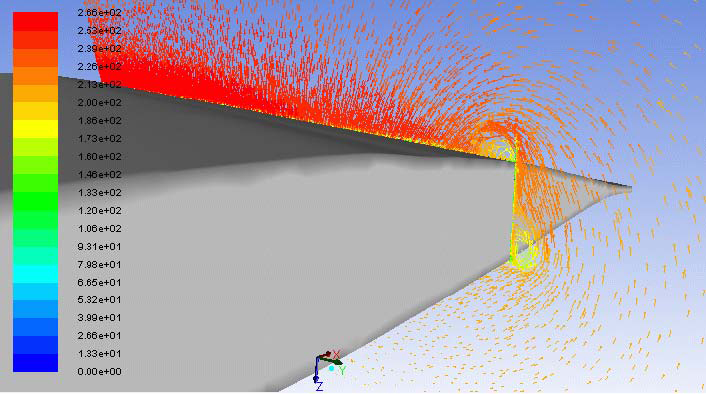 Induced drag develops at the end of the wing like a big compensatory boundary vortex which is caused by pressure differences at the wing’s upper and lower sides. 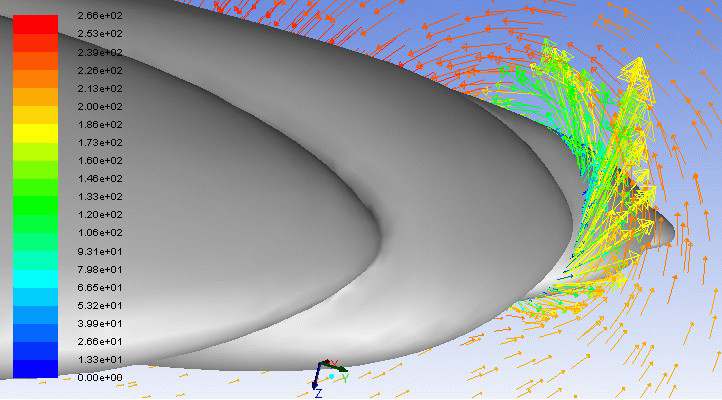 Such a vortex is one of the reasons for noise development and drag. Less drag means savings in energy because less driving power is required.